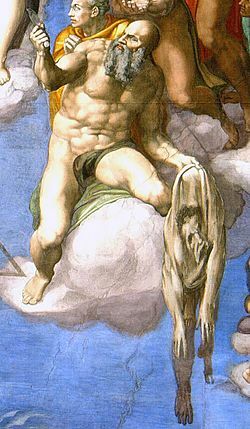 A painting called "The Last Judgment" made by Michelangelo shows Bartholomew holding a knife and his own skin. Bartholomew the Apostle is one of the twelve apostles of Jesus. 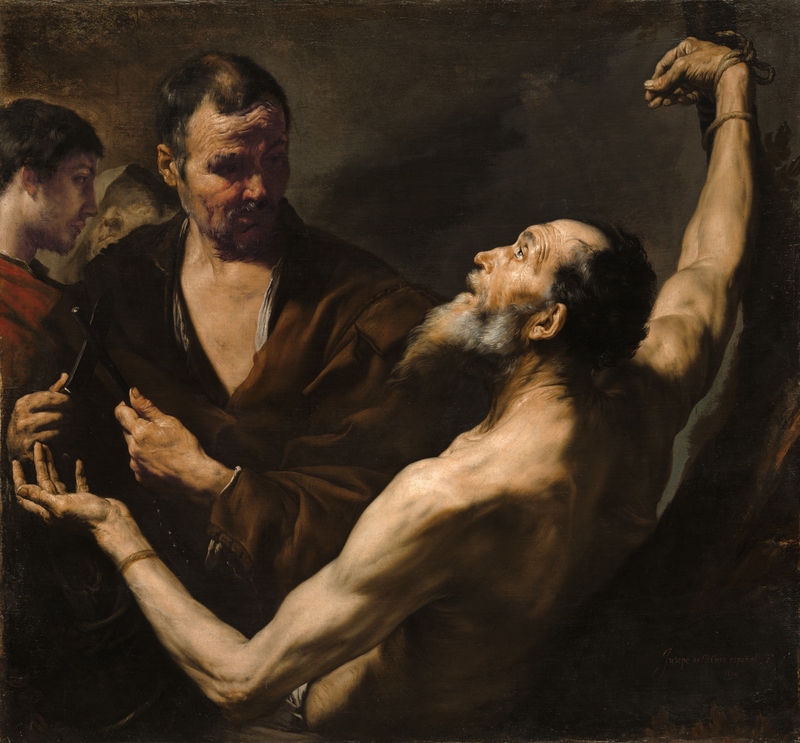 He is the patron saint of Armenia, bookbinders, butchers, Florentine cheese and salt merchants, Gambatesa, Italy, leather workers; nervous diseases, plasterers; shoemakers; tanners, and trappers. Along with Saint Jude Thaddeus, he helped bring Christianity to Armenia. He is the patron saint of people who work with leather and animal skins because he was martyred (killed for his beliefs) by being skinned alive (which is why he is the patron saint of people who work with animal skins). He is usually represented by holding a large knife and his skin. Bartholomew the Apostle Facts for Kids. Kiddle Encyclopedia.